I’ve been drooling over the beautiful cupcakes in this community for awhile now and have been dying to make some of my own. However, I don’t have a special occasion coming up to make them for, and if I don’t share them my husband and I will eat them all, thereby blowing our New Years diet plans. Preheat oven to 350F. Prepare muffin pan by using paper cups or spraying with cooking spray. Mash bananas and milk together using mixer on low speed. Add vanilla, cake mix, and baking soda and mix until just combined. Scoop batter into prepared muffin panand bake for 20-25 minutes. 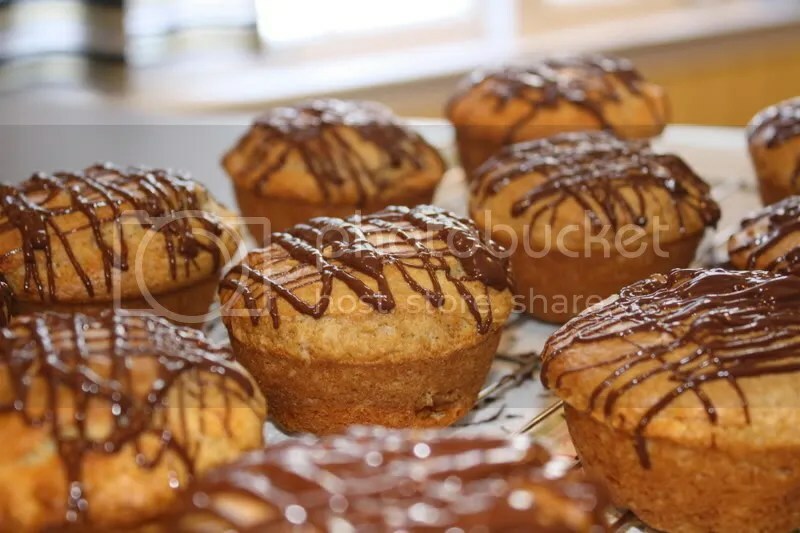 When muffins are cool, drizzle with chocolate.